This is the LAST of the Kerryon My Wayward Son Articles, and it could not in a more perfect fasion. The Preseason is now over for the starters, you can read the 4000+ Article recapping the last week in PRESEASON HAIKU VOL III. If you are a MVP, more on the bottom. In this article I promised from Day 1, I would evaluate the talent of Kerryon Johnson and tell you if he was Fantasy worthy. In only three weeks, it has been a journey following this RB. It has been a journey following every player. 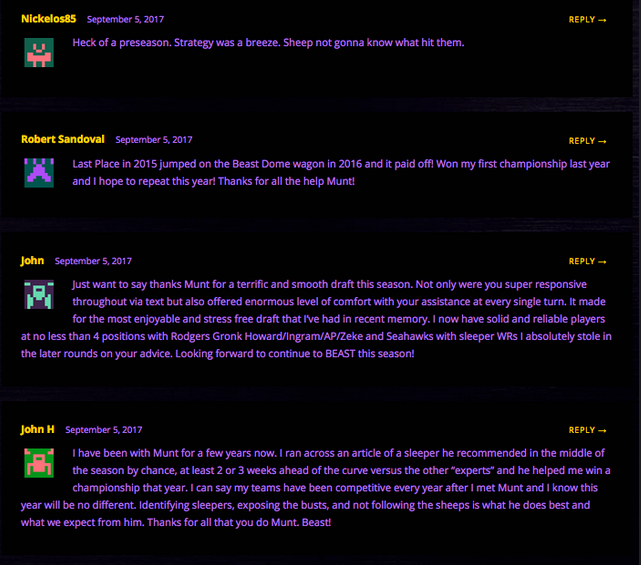 Here are a few Key Points I will give away, signup for PRESEASON BEAST to have all the info you need to BEAST your League. What is there not to like about this guy? He can catch, he can run, he can break tackles, he has vision. Despite all of these great traits, the Lions seem ready to run with a 4 headed RB machine. LeGarrette Blount looked too good for them to completely throw out the window. He was also the most heavily feautred player of all the Lions RBs in the 1st Half. Blount will definitely take the short yardage situations, and he can take the 1st down situations as well. Lions ran the ball for no gain on 1st down probably more than any team in the NFL the past few seasons. Which leaves only 2nd and 3rd down left. 2nd Down could/should go to Kerryon, but the Lions seemed willing to give Ameer Abdullah as many chances as he can handle. Even against the backups in the 2nd half where he finally looked good, and knowing the Lions history. They will accept that good, and forget how bad he did against the Bucs starters. Then there is 3rd down, where Mr. 3rd Down RB Theo Riddick continues to be his usual self. Theo even scored a TD once again reminding us, he is not going anywhere and he will always play 3rd down. With all of these factors, there is no reason to rely on Kerryon Johnson as anything more than a flier. Kerryon could take a bigger role as we get past the first month or two of the season, but for starters, he is a RB4 with at best, RB2 upside. 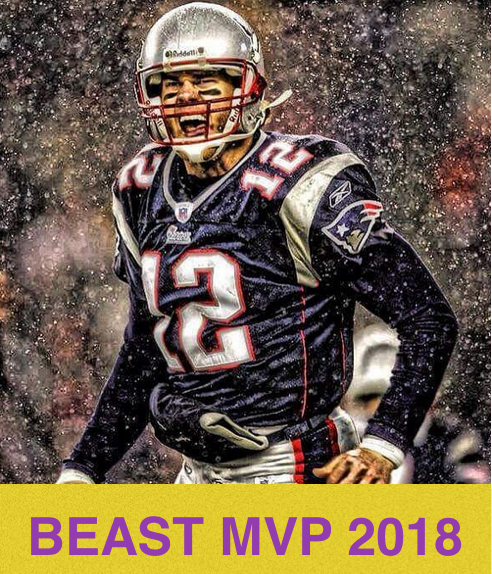 If some injuries go down, he can be a more consistent RB2, he is however not a player any of the BEAST DOME MVPs will even be considering on Draft Day. While the Sheep Fantasy World may be going nuts over Eric Ebron as a low-end potential TE1. Do not forget, Ebron did all of his damage this past week with no Jack Doyle. All preseason long, the Colts have refused to run constant 2 TE sets. Ya, it will happen on occasion. Though occasion is not good enough to consider Ebron a consistent TE1 despite all the talent. With that being said, the Colts are doomed if they do not use Ebron in the Slot full-time with Doyle lining up at TE. Ebron is the most phyiscal/athletic pass catcher they have that make plays over the middle of the field. It is a shame the Colts have not made Ebron the full-time slot WR/TE up to this point. It is time to say Kerryon my wayword son to a Madden Arena Legend, Jonathan Stewart. J-Stew was a Madden Arena (Site name before)/BEAST DOME MVP as he was my first Fantasy Advice to add him back in 2011, Video below. He was also part of the Draft Guide in 2015 when he made the Pro-Bowl. Those days of relevance are now completely over as he just looks 5 steps slower and 10 lbs heavier. The Giants brought in J-Stew to mentor Saquon Barkley, because the Offensive Coordinator for the Giants was the Offensive Coordinator for the Panthers over these past few years. With a horrible fumble and Wayne Gallman looking so much better all preseason long. Jonathan Stewart‘s career might be over. With that we send him out with a couple farewell throwback videos from when Madden Arena just started. Before the clients, before the hedge funds, before the awards, before the testimonials, and before everything else in between. KERRYON MY WAYWARD SON (J-STEW). There will be peace when you are gone. The BEAST Strategy is like nothing you have ever seen before. From Head to Toe this Strategy is unique and it will give you the winning EDGE to BEAST your League.